We have continued to demonstrate our commitment to social value and our support for the city’s 10% Better campaign, we have reduced car mileage across the organisation for the second consecutive year, placed significant weighting on the use of local suppliers, prioritised the use of LED lighting and environmental improvements where appropriate and we are working towards being a Living Wage employer in 2018. I would personally like to thank all our team members, volunteers and partners for their passion and commitment, without whom the scale and quality of our achievements would not be possible. 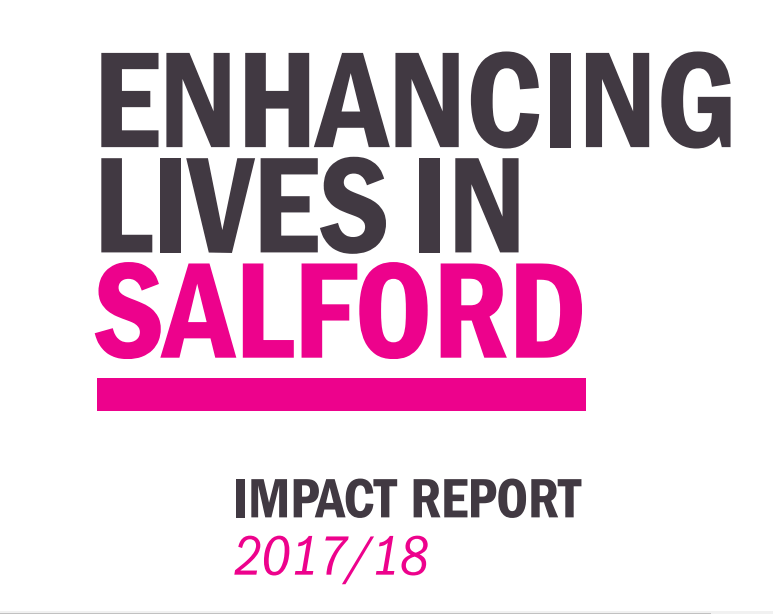 I hope you agree that what follows in this document highlights our key successes and brings to life the positive impact we have on the lives of Salford communities and the difference we make.